Overtime Only After is an option that is available on Group Duty Roster whereas it allows the system to treat extra working time as Overtime or OT whenever the predefined value is exceeded. Here we will be discussing on how to configure the Overtime Only After feature in our Smart Solution, TimeTec TA. Depending on company policies regarding payroll calculation, by using Overtime Only After option, the HR administrator can choose to accumulate the extra working hour for their employees either by weekly or by monthly basis as the options are available in Weekly, Bi-Weekly, Semi-Monthly or Monthly setting. Below are the necessary steps needed to be taken in order to configure the Overtime Only After feature. For example, if a predefined working hours in a week is set at 45 hours and an employee works a total of 50 hours for that particular week; 5 hours will thus be considered as OT for the employee. If the total working hours does not exceed 45 hours, TimeTec TA will in turn treat it as normal working time. Create the group duty roster and set Overtime Only After to 45.00 hours per week with Daily Total. Download and Generate the Attendance sheet based on the Check In and Check Out time as shown below, whereby if the total working hour exceeded 45 hours, the system will then calculate the extra working hour as Overtime. However, if the total working hour within the weekly basis does not exceed 45 hours, then the system will calculate it as short. That’s it! 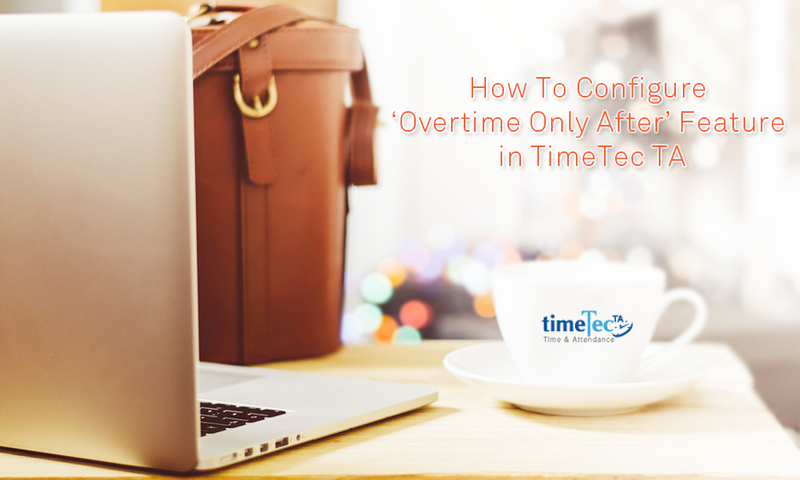 You’re now all set to enjoy the convenient feature of Overtime Only After within TimeTec TA. Note that users can also check the reporting on Daily Totals, Auto Calculate OT and 7th Day OT if the rule applies.